I feel like I’ve had it all wrong for years and years and years of my life, and it just recently dawned on me while I was eating carrots. No, I don’t think the carrots had anything to do with it, it was just that I was eating carrots at the time. I’m going to put that there, and for a moment in your life, you’re going to listen to someone, and embrace that it’s an absolute fact. Well, what do I mean by that, exactly? See the person to your right that you’re running against? You’re not running against them!!! You’re running against yourself. See your potential RIGHT THERE you can barely reach it right now because you haven’t figured out how to. But if you keep on, keep on, keep on, KEEP ON reaching, you’re going to get closer and closer and closer still to your POTENTIAL. I capitalized that word because it’s SO important. When you “lose the game” you don’t lose it because you weren’t first when you crossed the finish line. NO. You didn’t win because you didn’t reach your potential. THAT’S ALL WE HAVE!!! Oh you didn’t WIN who cares?!?! What matters is you live up to your potential. We are ALL given potential, maybe more some than others. But, maybe not? I believe people every, every day SABOTAGE their potential. I see it all the time from behind the bar. They’d rather hide behind a drink. They’re afraid to fail so they don’t ATTEMPT and then they get NO WHERE and no closer to their potential. If you weren’t so terrified of losing. And I’m here to say, as simply as I can, that you’ll never lose if you don’t STRIVE TOOTH AND NAIL to reach your potential. Then God will give you a hug, and some ranch for your carrots. This entry was posted in Uncategorized on November 25, 2015 by Clint Curtis. I’m behind the bar, there’s a group of three in front of me, and the girl in the middle, IS TALKING REALLY LOUDLY. I don’t think it’s because she thinks her friends are hard of hearing. I don’t think she’s deaf, and can’t control the volume of her voice. I think she just wants THE ENTIRE BAR TO HEAR HER STORY. But that’s not the annoying part. I mean, that happens all the time, right? One guy gets up on stage, tells a bunch of people a story. So telling a story to a large group of people isn’t annoying. It’s the ACTING LIKE YOU’RE JUST TELLING A STORY JUST FOR YOUR FRIENDS TO HEAR when obviously YOU WANT THE ENTIRE BAR TO HEAR YOUR ANNOYING STORY. I mean, cool, say to the room, EXCUSE ME CAN I HAVE YOUR ATTENTION PLEASE?!?! Then you tell the story. That’s fine, that’s good. That’s HONEST. It’s the deception that’s annoying. As if WE DIDN’T KNOW you wanted us to be eavesdropping. Get. Out of here with that. I’M TELLING THE WHOLE WORLD THE STORY. This entry was posted in Uncategorized on November 14, 2015 by Clint Curtis. About a month ago, I’m chatting with a customer, I find out she’s an actor. She seems cool, has a good look, and a positive vibe. I say, are you with the Peak Agency? Peak is a modeling/acting agency in Des Moines. I’ve been with them for a good four years now, my agent’s name is Steve Meyers. She says, no. I actually did contact them awhile back, but they told me they already have people that have my look. I tell her, let me email my agent, put in the good word for you, he’ll set up an interview with you, you’ll go in, and kill it. She says, that would be awesome! I email my agent, recommend her, he gets in contact with her, they meet up, and he signs her. Boom! Really happy for her. And she was SO appreciative of it. When I get the opportunity, I love to help someone out. It feels good to help somebody along their way in this world. I wouldn’t be where I am today if it weren’t for other people’s kindnesses. She tells me, I want to do something to repay you! I say, that’s not necessary. I’m just happy I can be of some help. She says, I’m going to do something for you. I say, no need. I’m bartending last night, she comes up to the bar, sits down, says, what? You don’t want to sell a house? I say, wha? I’m a realtor by day…bartender by night. She says, my husband emailed you. We want to go look at a house! I say, WHAT?!?! I never got an email from him!!! She says, hang on a sec. She gets out her phone, starts looking for the email. She says, is your email address CCutis@iowarealty.com? I say, NO! 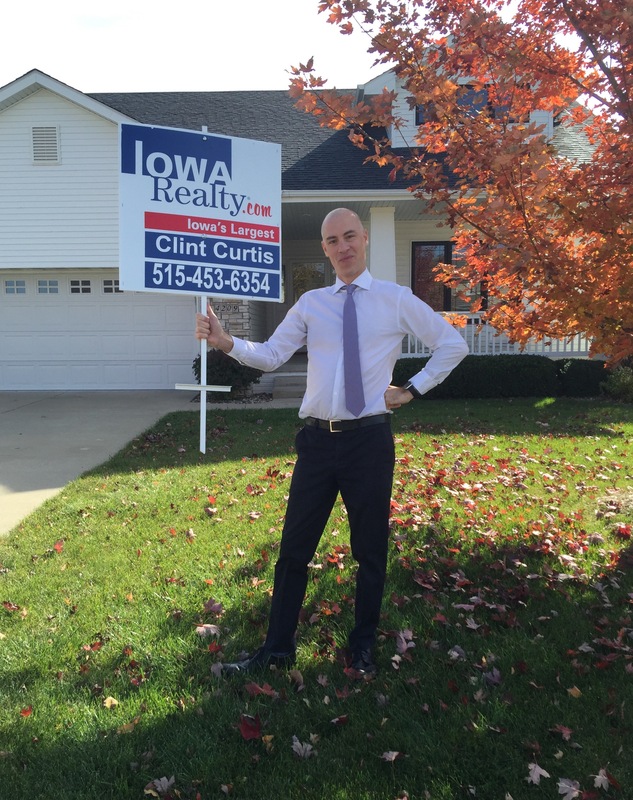 It’s CCurtis@iowarealty.com. (Notice how I just slyly put my email in right there, so when you’re ready, dear readers, you’ll email me when you’re ready to buy a house). I say, what did the email say? She says, we’re ready to buy a house. We know which one we want to look at. We’re already pre-approved, and if we like it, we’re ready to make an offer. I say, I’ll email your husband back, I’ll contact the listing agent tomorrow, set up a time we can go look at the house! She says, that sounds great! You might sell a house because of it. This entry was posted in Uncategorized on November 12, 2015 by Clint Curtis. I’m at the mall, at the mall Starbucks, drinking a Decaf Americano, and people watching through the glass. I’m enjoying myself, I don’t care what you say about “Corporate Coffee”, it’s strong (oxymoron, I know for Decaf), the atmosphere is good, and hot chicks come in. That’s always a pleasure to see. Ok, I’m married, but I can still appreciate the beauty of woman. Big, small, tall, young, old, there’s always something. A guy I know walks in. He’s a customer at a bar I work at. My first instinct is to duck my head, turn away. He’s a really nice guy, but I don’t really feel like having a conversation. It’s my day off, ok? 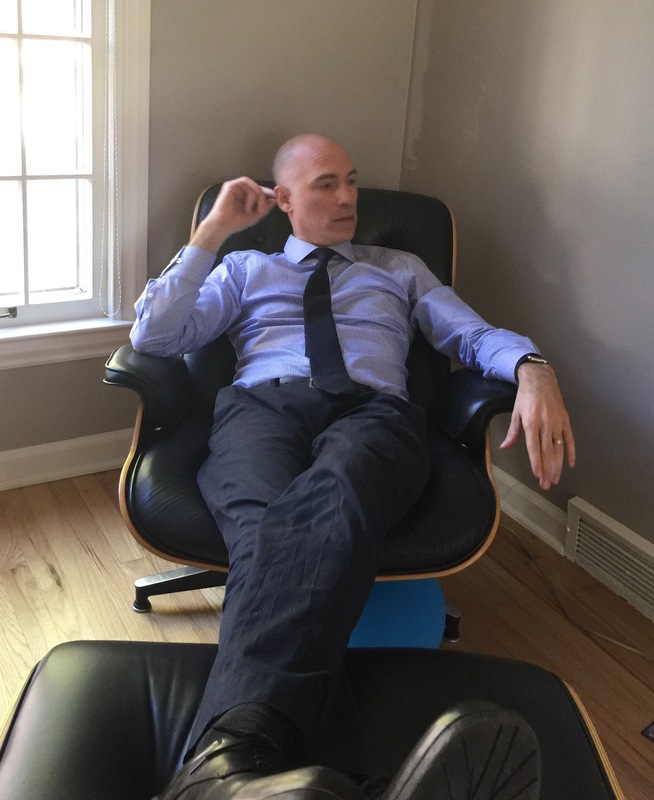 I talk for a living, when I actually have an afternoon off, I want to be peaceful, and not have to “be on.” I just want to sit back as I am now, enjoy my coffee, and enjoy the sound the espresso maker makes when heating the milk. He comes over. Clint! How are you? We talk, about nothing really. His girlfriend moved back from Brazil, we make the connection that she lives in the same area as I do. We chat about that for a bit, his coffee is ready, he says his good-bye, I say my good-bye, he exits. I go back to people watching. Aren’t they fascinating? Filling time walking around this place buying things they don’t need. Maybe that’s the entire meaning of life, but a bit pessimistic. Let’s get dressed up in cool clothes, go to the mall, walk around, look at things, buy things, we really don’t need. Or probably, particularly want. As human beings, we’ve been doing that for centuries and centuries. Walking around the market, buying exotic wares from faraway lands. That can’t be it, can it? How do we become significant? I mean in 200 years, no one’s going to give a care about our lives, are they? We’re just going to be another tombstone to walk by. As insignificant as, that’s a funny name. Or, I wonder who that sucker was? People now are enmeshed with their technology, and whatever, so what, I’ve resigned myself to it. I’m just as addicted to my phone as the next person. I wake up, check my phone, see who texted me, who emailed me, who asked to be my friend on Facebook. But she says it because it was the first thing that came to her mind. Not because she heard the news. Because there was no news. This entry was posted in Uncategorized on November 9, 2015 by Clint Curtis. I have been acting pretty much my entire life. The first play I did, I was Tom Sawyer in The Adventures of Tom Sawyer at the Iowa City Community Theater when I was nine years old. Since then, until now, over thirty years have passed, I have put myself out there, day in and day out, and I’ve been rejected 18,362 times. I try to keep count. I know rejection. She’s my best friend. I embrace rejection, it’s comforting, it feels good. It makes me stronger and stronger incrementally, every day, rejection upon rejection, it stacks up, layers upon layers, until it reaches to the cosmos. Because I’ve had so much rejection, I don’t fear it. I LAUGH AT IT. Oh you’re going to say no to me? Great. Thank you for another no. You have probably helped me more than saying yes. And it is yes that I’m more uncomfortable with. Hell, I’ve got the rejection part down cold. But acceptance? Yes, Clint, you got it! Wha? Um…ok. But that was too easy! You’re supposed to say no to me, damn it! Here’s a bit of advice for you, if you want to grow as a person. If you’re HERE and you want to get THERE. The only way you’re going to get THERE is to start attempting to. You can’t get there until you start trying to get there. You have to start asking for things. Looking for opportunities. Making opportunities out of NOTHING. And when the smallest opportunity comes your way, you have to SEIZE IT. This is what I’ve been doing lately. I wake up, and say, I’m going to get rejected today at least four times. Let me clarify. When the moment arises in my day when I think, I’d like to do that, or I’d like to say that, or I want that, but if I ask, I’ll probably not get it, WHAM!!! There’s an opportunity for rejection I can mark down for the day. Now I have three more. Tommorow morning wake up, and say, I want to be rejected four times today, then be very aware when the moment arises in the day to accomplish that goal. And it doesn’t have to be a big thing. It can be the smallest of things. And in time, it will be more and more difficult for you to find opportunities for rejection. Because people will be saying YES instead of NO. And you will be THERE instead of HERE. And then you’ll have to figure out how to deal with getting what you want. This entry was posted in Uncategorized on November 7, 2015 by Clint Curtis. You came in around 10. Sat over there end of the bar. You were with four other friends. You ordered a Sunny Side Up, and your guy friend ordered a Vanilla Cafe. I remember he asked, what’s the coffee one? And I said, I think you’re talking about the Vanilla Cafe. I made them, gave them to you, he goes to pay, then you say, no, I got it. You hand me a card. I say, you want me to run it, or keep it open? You said, run it. I run it, put it down in front of you. I walk away for a bit, then come back where you are, and I notice your guy friend is signing it for you. I go back to doing what I do, about a half hour later, he ordered another Vanilla Cafe, and you said you were good. He paid cash for that one, gave me a 10 dollar bill, and generously gave me a three dollar tip. The girl turns to the guy, says, do you have it? He gets out his wallet, walks away from the bar, I go help another customer. About a minute later, I hear the couple laughing. I call out, YOU GOOD? The guy gives me a thumbs-up, has a smile on his face that says, I’m the dumbass. You know what that was, my friends? That’s three YEARS of writing bar stories, remembering small little details, and good, clean sober bartending. This entry was posted in Uncategorized on November 6, 2015 by Clint Curtis.